In Journey to the Centre of the Earth, an obsessive German professor and his nephew travel towards the earth’s core in the steps of a medieval explorer beneath an Icelandic volcano where they discover a lost world. 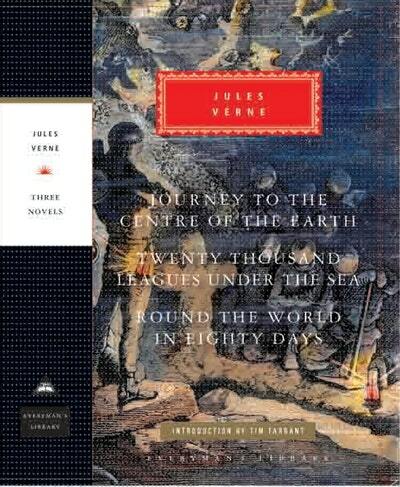 Twenty Thousand Leagues Under the Sea is famous for its portrayal of the Byronic Captain Nemo and his submarine, the Nautilus, in which he explores the ocean while wreaking vengeance on mankind for their wickedness. In Around the World in Eighty Days, a starchy Englishman suspected of robbing the Bank of England accepts a bet that he cannot circumnavigate the globe in that time, and proceeds to do so, accompanied by his resourceful valet, Passepartout. The three novels combine fantasy and rich local colour with true learning and cod science in a mixture which attracts readers of all ages. 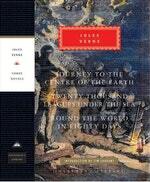 Love Journey to the Centre of the Earth, 20,000 Leagues Under The Sea, Round the World in Eighty Days? Subscribe to Read More to find out about similar books.